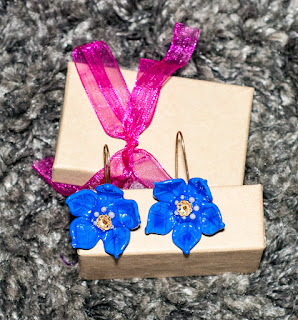 These are another pair of replacement earrings. They replace my French blown glass ones, as one of those broke in shipping. These came from Hungary! While they don't replace my French ones, they're still really pretty.